Multimedia powerhouse Tyler Perry steps into the character of Madea for her very last movie when Tyler Perry’s "A Madea Family Funeral" arrives on Digital May 21 and on Blu-ray™ Combo Pack (plus DVD and Digital), DVD, and On Demand June 4 from Lionsgate. Written, directed, produced by, and starring Tyler Perry ("Boo 2! A Madea Halloween," "Boo! 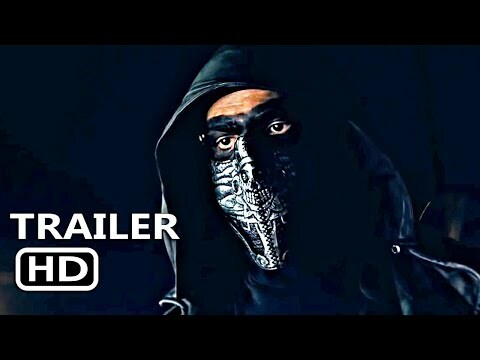 A Madea Halloween," "Vice"), the film celebrates this beloved character and film franchise by shining a light on Madea in her final big-screen performance! Starring alongside Perry in this hilarious farewell film are Madea’s BFFs and fan faves Patrice Lovely ("Boo 2! A Madea Halloween," "Boo! A Madea Halloween," TV’s “Love Thy Neighbor”) and Cassi Davis (TV’s “The Paynes,” "Boo 2! A Madea Halloween," "Boo! A Madea Halloween")….also appearing for the first time is Tyler Perry’s new, off-the-wall character, Madea’s brother, Heathrow. Tyler Perry revives his signature character Madea Simmons for her final film performance in this comedy to die for! Madea and her family head out to a family reunion, but the trip becomes a nightmare when the party suddenly turns into a funeral and threatens to reveal sordid family secrets. 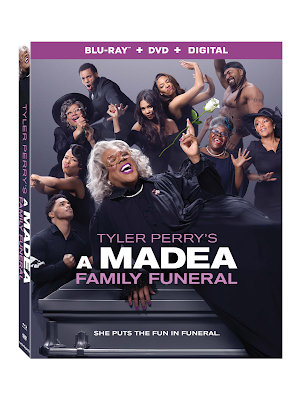 The Tyler Perry’s "A Madea Family Funeral" Blu-ray Combo Pack and DVD will be available for the suggested retail price of $39.99 and $29.95, respectively.